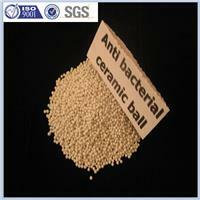 Nano silver Anti bacterial Ceramic Ball is one kind of environmental protection and health care ball that is mainly made of the natural nonmetal mineral tourmaline, porcelain clay and high-grade clay by nanometer comminution technology, special formula and agglomeration techniques, and used with the ceramic ball for eliminating bacterium of water purifiers, textile fiber, etc. Standard usage: use 0.03 m3 per day, lifetime will be 6 months. For adjusting PH of water and making it presents alkalescency and accelerating metabolism of human body etc. 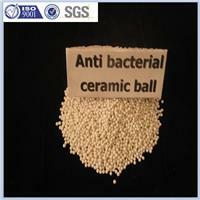 Alkaline ceramic ball is developed for new drinking water purifier companies, water plants, water treatment plants, it is a new type of antibiotic, activation, adsorption, filtering water purification product. Packing with plastic bags, 25kg/bag, or customized. Keep from raining, and avoid moisture. Stored in dry place. 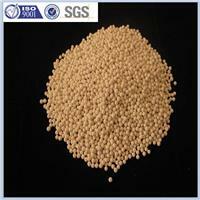 The highest using temperature is at 950°C.